Part of the benefit to living 2,000 miles away from where I grew up is that I get to come home, in that way that one can only do after spending considerable time away from the place of one’s birth. Hemingway once advised “Never to write about a place until you’re away from it,” and in my own experience, I’ve found those words of wisdom to hold steady and true. Because, sure enough, now that I’ve lived away from Wisconsin for more than 13 years, all I seem to want to do is write about home. In my fiction and nonfiction, poetry and short story forms, I find great satisfaction in exploring that landscape of my youth, the place that holds the most potent elements of my sense of heritage. 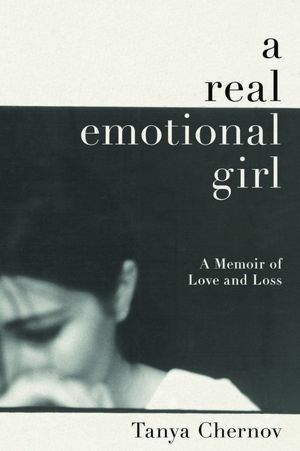 I’m heading to Milwaukee tomorrow to celebrate the release and success of my memoir, A Real Emotional Girl, at Boswell Book Company on Downer Avenue, this coming Friday the 12th at 7 pm (Click here for directions and details). The incredible people at Boswell Books, in addition to hosting the event, will donate $1 for each book sold to the Richard Chernov Children’s Fund, which raises money to send children with cancer and other terminal illnesses to summer camp. This homecoming is truly special to me; knowing that I’ll have so many friends and family members at my side to bring Girl home is a wonderful kind of validation. And if you don’t already have plans to attend, I hope you’ll join us there—all are welcome! I’ve been thinking a lot about my Midwestern roots in recent weeks, for several reasons. First and foremost of course is my upcoming book signing, but I have also written a Wisconsin-based plot device into my current project, a post-apocalyptic novel titled “This Winter.” Having the chance to showcase the beauties of my homeland through this lyrical work of fiction has allowed me to enjoy it for myself in new ways—much of the research I’ve done thus far has scarcely felt like work at all; rather, I’ve quite enjoyed reading up on the immigrants and industries that laid the foundation of my fair home state. Aside from my writing, though, I’ve committed to participating in another longstanding Wisconsin tradition: The American Birkebeiner Events. I last skied the 23k Kortelopet cross country ski race 10 years ago in the winter of 2002, when my father had been gone a year. Looking to honor his memory and give myself something positive to focus on, I trained hard for the race and was happy for the distraction from my grief and studies. Held near Hayward, Wisconsin, the Kortie serves as a companion event to the marathon-length, 54-kilometer Birkebeiner race, which honors Norwegian heritage in being patterned after Birkebeiner Rennet, which has been held in Norway since 1932. Founded in 1973, the American Birkebeiner and the Kortelopet re-create a historic Norwegian event not widely known by present-day folks. In 1206, two warrior soldiers, called “Birkebeiners” because of the birch-bark leggings they wore, skied infant Prince Haakon to safety during the Norwegian civil war. Prince Haakon subsequently became King of Norway, and the Birkebeiner soldiers became a Norwegian symbol of courage, perseverance and character in the face of adversity. Over the years many thousands of people, both elite and “Citizen Skiers,” have enjoyed the thrill of personal triumph crossing the finish line of the Birkie and earning their prestigious award medallions. Though my older brother, Dylan, has skied the Birkie nine times, it’s a bit of a lofty goal for a busy gal like myself. Truth be told, the lesser distance of nearly 16 miles will still be plenty challenging for me. But it’s a great fitness goal and is sure to be an incredibly fun weekend for the whole family. Best of all, it makes me feel like I’m doing not only myself and my father proud, but also honoring my beloved Wisconsin traditions. No matter what distance or time will separate me from my Midwestern upbringing and the landscape of my heritage, Wisconsin will always be home, and I will always wear that badge proudly. Go Packers! My radio podcast debut is here for your listening pleasure. No need to feel guilty about missing the live show anymore! Click here to listen to Expats Radio host, Bill Friday, talk with me about writing A Real Emotional Girl.